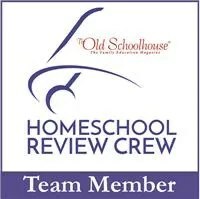 Now that my boys are getting older, I am having to get used to cooking for two instead of four. It seems they are always gone at work, school activities, or other things. I have to say, it has been an adjustment. 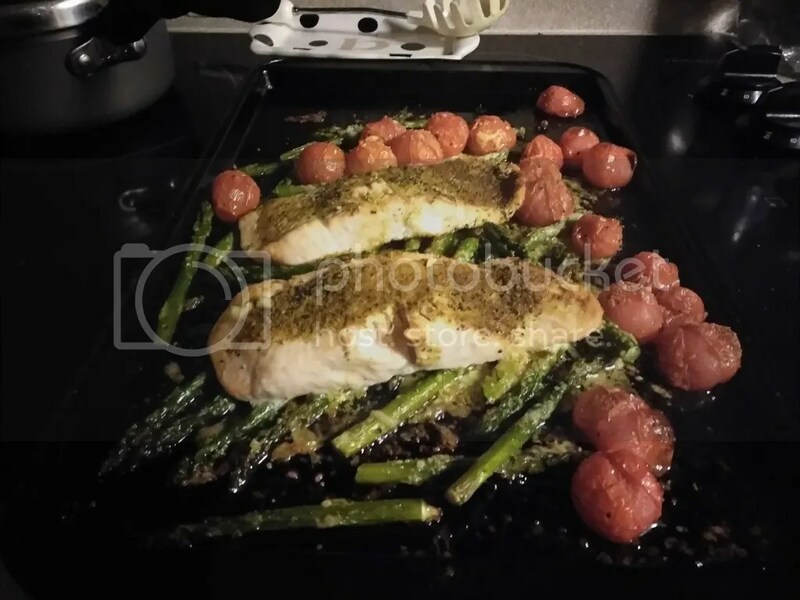 This is one quick and easy recipe I’ve come up with that is great for a small dinner! 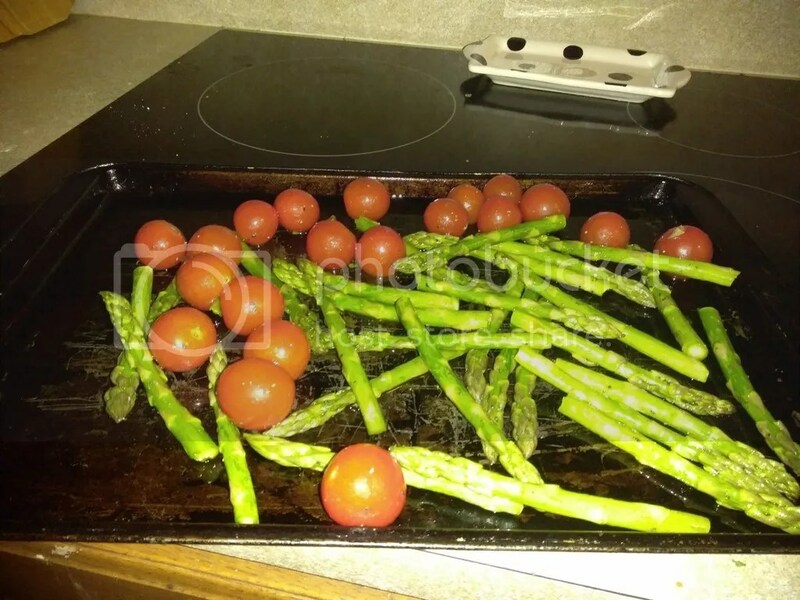 Toss the tomatoes and asparagus with the olive oil, 1/2 tsp salt, and 1/2 pepper. Spread on baking sheet sprayed with cooking spray. 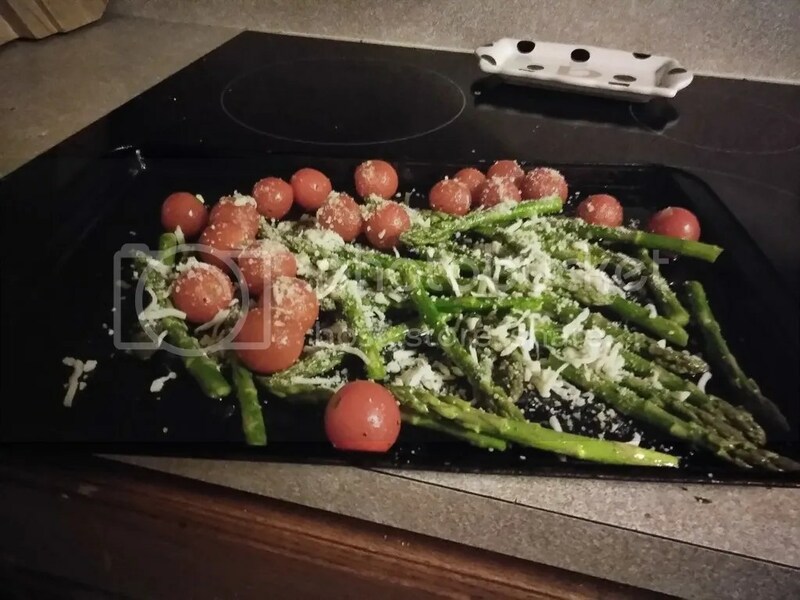 Sprinkle with some Parmesan. Season the salmon with the curry powder and remaining salt and pepper. 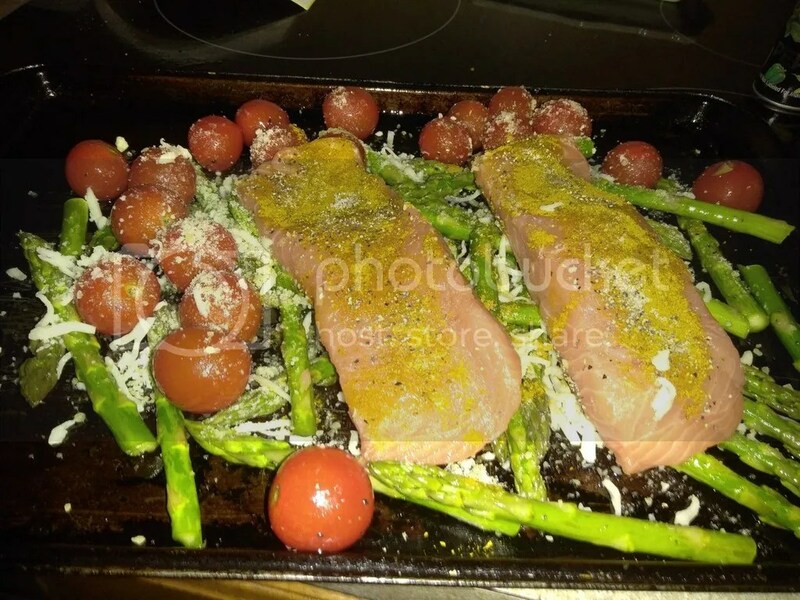 Place the salmon on top of the vegetables. Roast for 15-20 minutes, until the salmon is opaque and flakes easily. Quick and easy, and very yummy and pretty healthy too! Enjoy! Ugh, we’re a few weeks into the new year and I’m still trying to get back on a normal schedule. So far, 2017 has been off to a kind of crazy start and it’s throwing me off. I’m hoping this is not an indication of how the rest of the year is going to go. At least I’m back to menu planning. It does make meal times so much easier. Here’s what’s on our menu this week. 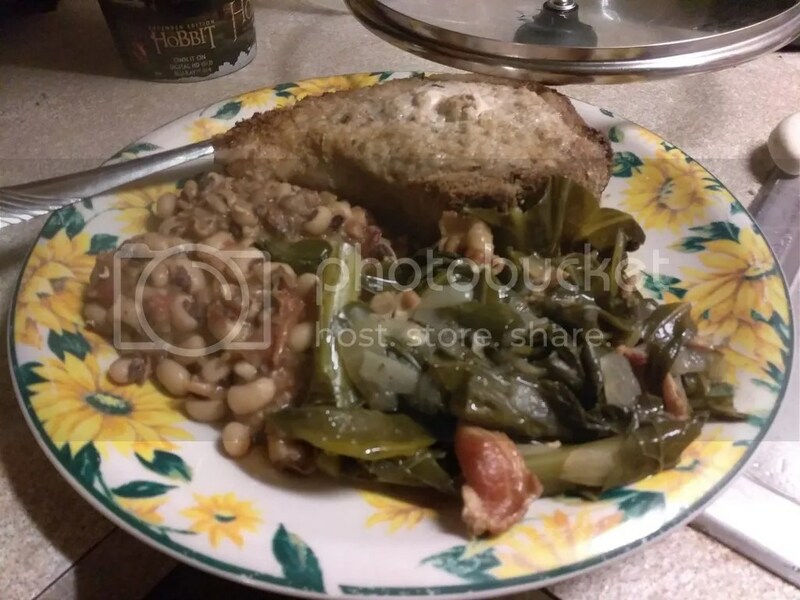 If you’re from the South, then you are familiar with the tradition of eating black eyed peas and collard greens for New Year’s. 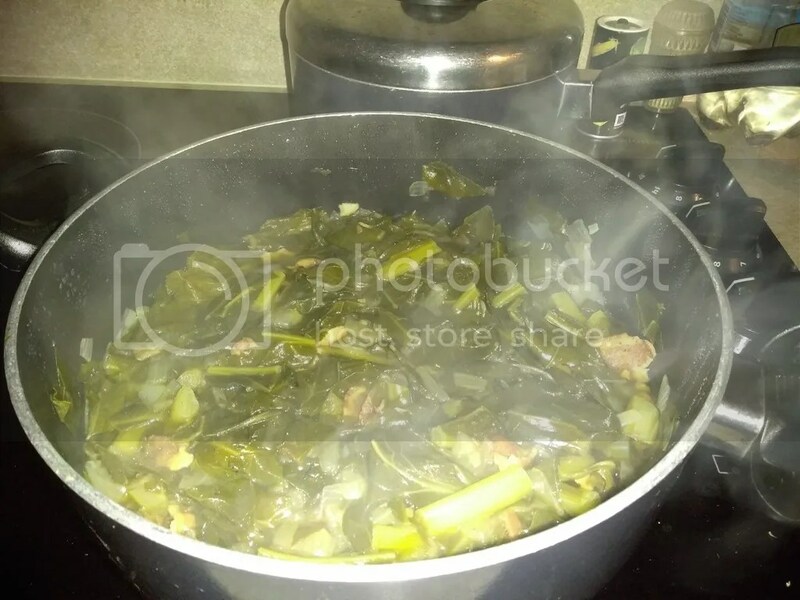 I’ve already shared my recipe for bacon black eyed peas, but this year, I thought I would share my recipe for collard greens. Now, we like our food a little spicy, so these have some flavor, but you can always adjust the spice if you want. Add some olive oil to a large pot and heat over medium-high heat. Add the bacon to the pot (in batches) and cook until crisp, remove to a plate and drain. Crumble bacon and add it back into the pot with the drippings. Add the garlic and cook 2-3 minutes. Add the chopped collard greens in batches and cook until wilted. Add the chicken broth and spices, then reduce heat and simmer for 1 hour. There you go, super easy! Have a Happy New Year!